Maxfilm® is a high film strength, multipurpose, synthetic lubricant / penetrant that excels in a wide array of applications. 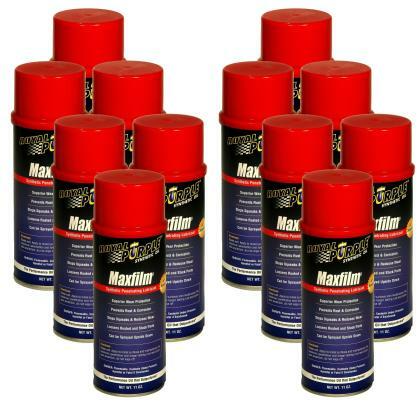 Maxfilm® deeply penetrates, cleans and loosens rusted parts. Once applied, its solvent carrier evaporates and leaves a tenacious, thixotrophic lubricating film on all metal surfaces, which provides long-lasting protection against wear, rust and corrosion. Lubrication of power tools, hinges, chains, rollers, open gears, guns, fishing tackle, lawn equipment, etc. Preserving and protecting parts in storage, disassembled machinery parts, wire ropes, etc., against rust and corrosion. Use as a manual cutting fluid to facilitate the ease of hand drilling, tapping, metal cutting, etc., of both steel and aluminum.